Certification Camps Blockchain boot camp covers the end-to-end spectrum on Blockchain technology. Students will learning the business need, foundations and in-depth hands on Hyperledger training. While attending this camp - students will learn the concepts, components, architectural and technical components of blockchain technology. This course will cover the concepts of Blockchain Business Foundations, Solutions Architect, and HyperLedger. It is a fundamental cryptological law that it is relatively easy to set a problem that is very, very difficult to solve. What is relatively easy for a network of computers to do is, in practice, impossible even for much larger networks to undo. Implemented correctly, it can provide organizations with more trust in their security systems. 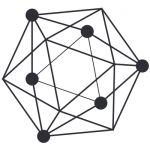 Hyperledger is an open source collaborative effort created to advance cross-industry blockchain technologies. It is a global collaboration, hosted by The Linux Foundation, including leaders in finance, banking, Internet of Things, supply chains, manufacturing and Technology. Think of it as an operating system for marketplaces, data-sharing networks, micro-currencies, and decentralized digital communities. It has the potential to vastly reduce the cost and complexity of getting things done in the real world.